XAT 2017 Application Form: The Xavier Aptitude Test [XAT] is one of the national level MBA entrance exam which is conducted by XLRI on behalf of XAMI. The students who want to get admission in post Graduate management programmes at more than 150 B-Schools in India, are advised to apply for XAT 2017. The XAT Application Form 2017 is available in our examlevel.com site. The paper & pencil based XAT Exam 2017 will going to be held on 8th Jan 2017 (Sunday) and the XAT application will be end on 11th Dec 2016. So the aspirants who interested to apply for XAT 2017, are advised to apply on or before the end of submission date. If you want to know more clear information regarding XAT Registration Process 2017, then read this article fully. The applicants who successfully completed Bachelor Degree (Minimum 3 years course) in any discipline with required percentage from the recognized university, can eligible to apply for XAT 2017. * The final year graduation students who complete their final exam by 10th June 2017 will also eligible to apply for XAT 2017. The applicants who want to know the full details of age restriction, then refer the official XAT Bulletin 2017 from the official recognized web portal. The Paper I consists of 78 questions from English Language, Quantitative Ability, Logical Reasoning and Decision Making. The Paper II will have a mixure of objective & subjective questions from General Knowledge (GK) and Essay Writing. NOTE: For each wrong response, 0.25 marks will be reduced. Allahabad, Amritsar, Agartala, Ahmedabad, Bengaluru, Berhampur, Chandigarh, Chennai, Cochin, Bhopal, Bhubaneswar, Coimbatore, Cuttack, Goa, Greater Noida, Gurgaon, Dehradun, Delhi, Guwahati, ,Vijayawada, Visakhapatnam, Jabalpur, Jaipur, Jammu, Hyderabad, Indore, Jamshedpur, Kanpur, Mangalore, Mumbai, Kolkata, Lucknow, Nagpur, Nasik, Noida, Raipur, Ranchi, Rourkela, Sambalpur, Surat, Patna, Pune, Udaipur, Vadodara, Varanasi, Tiruchirapalli, Trivandrum. Cash Payment: Please take a print out of the XAT Pay-In-Slip from the official site, then visit nearest IDBI bank and make the payment. Demand Draft (DD): Please make a Demand Draft which made from any Bank in favour of "XLRI Jamshedpur A/c XAT", payable at Jamshedpur. The candidates will be shortlisted based on their merit marks and cutoff marks in XAT 2017. The shortlisted applicants will call for the further procedure like Group Discussion, Written Ability Test and Personal Interview which is conducted by XLRI. Then create a new account with your personal info like name, email id, you will receive a unique XAT ID and registration link to your mail. Click on the received registration link and create your own password. (Next time of login you will be allowed with this XAT ID and password). Choose the examination city, applicant name, upload photo & signature and save it. Next select your Citizenship such as Indian/ Foreign / NRI. 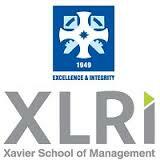 If you not interested in any of the XLRI programmes can skip this step. The applicants desirous of applying to GMP, must have total experience of 5 years till 31st March 2017.